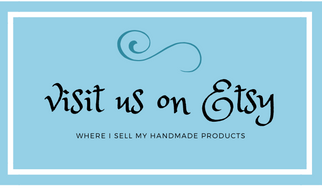 So happy you found me here at the new site.... Today I'm going to show you what I've been working on for the last 6 months...Yep - it's taken me 6 months to do this makeover- Unbelievable. Her bed was built by Dad and I painted it for her. I also made the ruffly bedspread after seeing one from Anthropologie that was similar. I made the bed skirt, pillow shams and curtains. All from co-ordinating fabrics that she approved. I love this little flower table it goes so well in here. You can see its make over here. 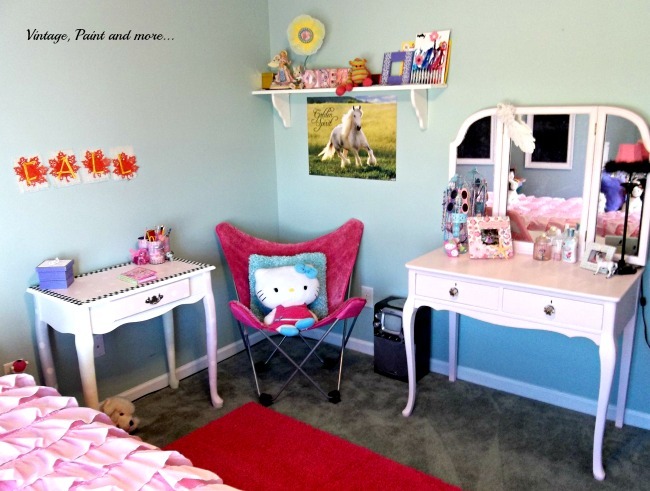 In this picture you can see her desk ( makeover here ), her vanity ( makeover here ), and a hot pink butterfly chair that was handed down to her from her older sister. At the foot of the bed is a hot pink trunk Dad found at Hobby Lobby marked down from $79 to $25. This holds all her dress-ups. And, on most days a part of her huge collection of stuffed animals sits on top. 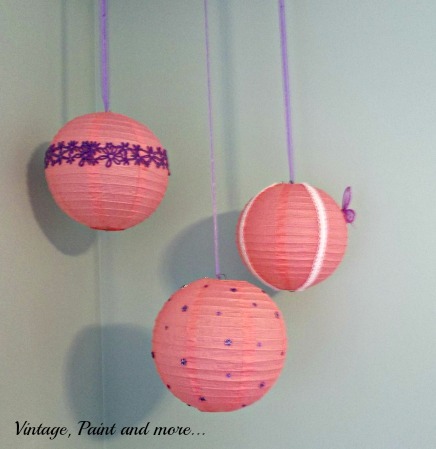 We hung some really cute pink paper lanterns in the corner of her room. We found these at World Market for under $5. I used some scrapbook supplies I had on hand to decorate them and then hung them from the ceiling with ribbon. I really love how this girly girl room turned out. I would have loved to have had a room similar to this when I was little. 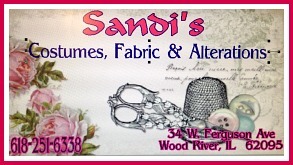 I will be posting some of the accessories we made for the room in the next few days. Miss A helped me put some of them together. 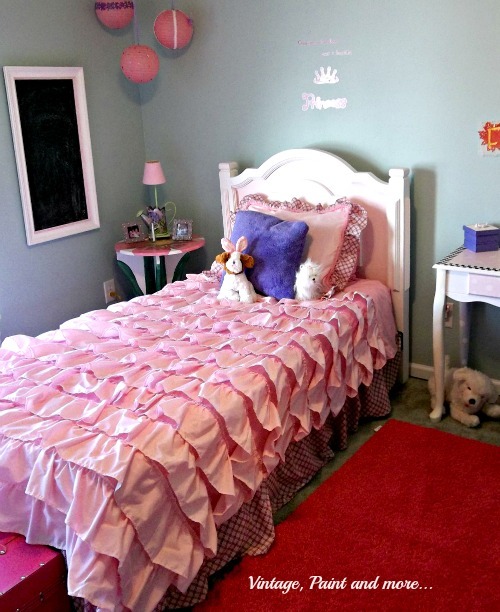 So, what do you think of the girly girl room? Could we have gotten it a bit more girly? love the ruffles on the bed! I might have to do that for my girls bedroom! great job! What an adorable room! Love the idea of a dress up trunk! I am going to have to find one for my little girl! 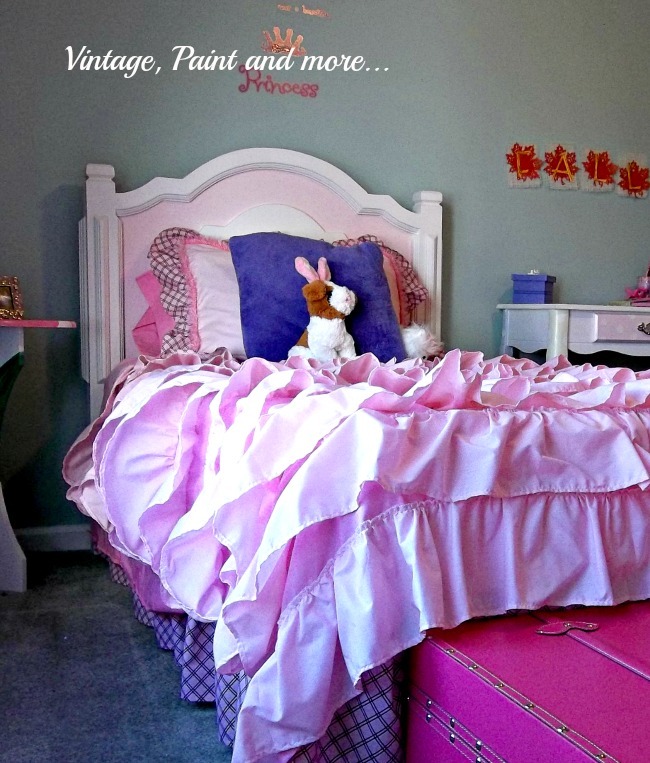 That precious pink ruffled bedding is wonderful!!! I love it! And the fuschia trunk too! I think i could live in Miss A's room! That is indeed the cutest bedding I have ever seen. Thanks for sharing with the newbie party. Gorgeous! I especially like the bedspread and window treatment. Well done! 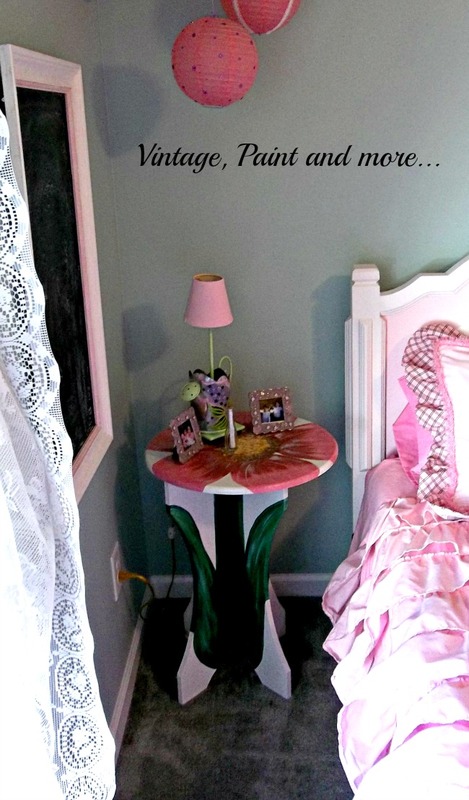 What a beautiful little girls room! Love all the details you added, shows a lot of love! Thank you so much, Sarah - she loves it.